Audiences in Tobago will have the rare opportunity to see a youthful Calypso Rose and Mighty Shadow as actors in the movie Bacchanal Time, on Wednesday 30 January at MovieTowne, Tobago. The free film screening is part of the trinidad+tobago film festival’s (ttff) Carnival Film Series, which starts on 23 Jan and continues to 05 February throughout T&T. Bacchanal Time is a wildly hilarious comedy set at Carnival time in Trinidad and crammed with the music of the season. The story is centered around an island-wide stickfight competition on Carnival Sunday, and bubbles with Carnival weekend excitement, culminating with the first bands on J’ouvert morning. 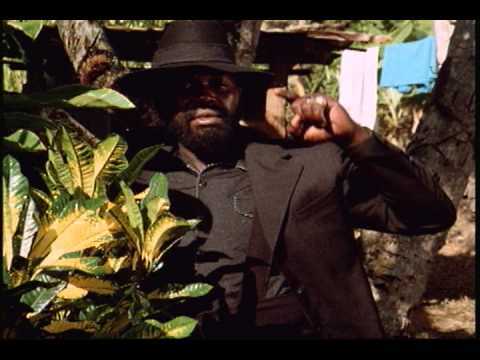 Produced in 1977, this classic Carnival film stars Gregory Ballantine (the calypsonian GB) and Kamalo Deen (who directed the film) as stickfighters, and features appearances by Rose, Crazy, Count Robin, Trinidad Rio, Mighty Wanderer, Stork St. Hill and a host of others. This is the second time that the ttff will be showing a free film at Movie Towne, Tobago. Last August film fans crammed the cinema for the classic Hollywood film Fire Down Below, which was shot partly in the island. The upcoming screening of Bacchanal Time also follows a three-year history of free community screenings by the ttff throughout Tobago. The Carnival Film Series features Carnival-themed narrative and documentary films, both short and feature-length. The series is sponsored by the Trinidad and Tobago Film Company. Admission to all the screenings is free.